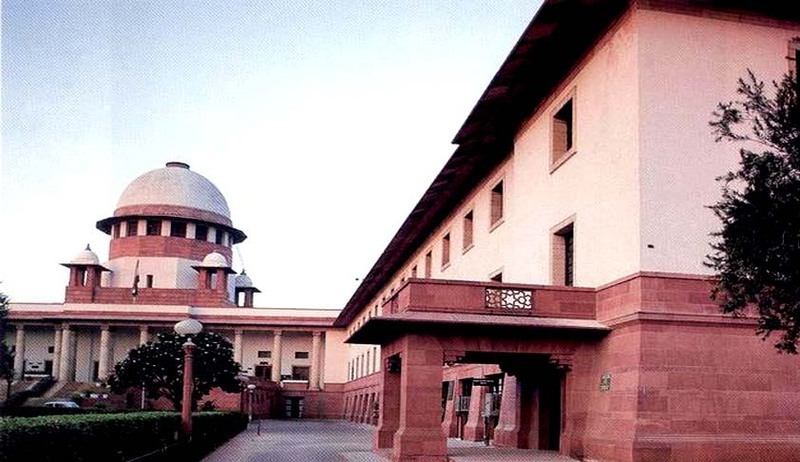 The Supreme Court on Friday upheld the conviction of Abdul Mateen, a Pakistani and his Indian accomplices, found guilty for the blast that ripped apart the Sawai Man Singh Stadium in Jaipur on Republic Day in 1996, nearly two decades after the incident. A Bench of Justice K.S. Radhakrishnan and Justice Dipak Misra condemned the acts of the appellants not only because of the dent they intended to create in the social peace and sovereignty of the nation, but also from the humane point of view as they are founded on greed, envy, baseless anger, pride, prejudice and perverse feelings towards mankind. The blast of explosive substances occurred at about 8:30 am, between Gate no. 12 and Gate No.13, towards the Southern Eastern side of Sawai Man Singh Stadium Jaipur, where the State level Republic Day function was to be celebrated. At the time of the explosion, only police personnel and no civilian was present on the site but the crater, which was discovered after the blast and the shattered windows of the pavilion near the explosion site, pointed towards the intensity of the blasts. The Court said that when a devastating activity like the present one occurs on the Republic Day of our country Bharat, it injures the nationality, disturbs the equilibrium of each individual citizen, creates a concavity in the equanimity of the peace of the State, generates a stir in the sanctity and divinity of law and order situation which is paramount in any civilized State, attempts to endanger the economic growth of a country and, in the ultimate eventuate, destroys the conceptual normalcy of any habitat. On the basis of the FIR, offences under IPC, Prevention of Damage to Public Property Act, 1984 and under Explosive Substances Act, 1908 as well as 1884 Act were registered and the investigation commenced. The investigation of the case was then transferred to C.I.D. Names of Raies Beg of Agra, Dr. Abdul Hamid of Firozabad and Pappu Puncturewala were received by the Police through an anonymous letter, mentioning that ISI of Pakistan was behind the blast. On the basis of this information, Abdul Hamid, Raies Beg, Abdul Mateen, Pappu Saleem and Chandra Prakash were arrested by the Police. Pappu turned an approver later and confessed the crime. All the other accused persons denied guilt, pleaded false implication and, accordingly, faced trial. While considering the reasoning of the trial court and the Rajasthan High Court, the apex court re emphasized that the evidence leading to the guilt of the accused was clear and established their guilt beyond reasonable doubt. The Counsels appearing for the appellants challenged the admissibility of the available evidence. Mr. Atul Kumar, Counsel for the appellant Abdul Mateen, claimed the trial to be vitiated on the ground of lack of consent from the Central Government as per section 7 of the 1908 Act. The Court found no fault in the approval granted by the District Magistrate as well as the evaluation of evidence by the Court. State of Rajasthan was represented by Dr. Manish Singhvi. The Court also found that the approver, Pappu, had implicated himself in the crime and had not made any efforts to give any statement which is exculpatory. It should be noted here that 28 boxes of Ammonium Nitrate were recovered from the accused Chandra Prakash’s house and godown along with other substances such as detonators and wires, pointing to the propensity of the attack that was planned. Abdul Mateen was implicated under the Foreigners Act, in the absence of a passport or any valid identity proof, he being a citizen of Pakistan. Accordingly the ground assailing the judgment of conviction and the order of sentence were found to have no legal substantiality and were rejected. The Court contented that the factual scenario of the instant case compels us to state that these kinds of activities by anyone breeds lawlessness, fear and affects the fundamental unity of our great country. A nation with a desire to prosper is required to maintain high degree of law and order situation apart from respecting “imperatives of internationalism”. Certain individuals harboring unacceptable notions and inexcusable philosophy and, on certain occasions, because of enormous avarice, try to jeopardize the cohesive and collegial fabric of the State. It added that, every citizen of this country is required to remember that national patriotism is founded on the philosophy of public good. Love for one’s country and humanity at large are eternally cherished values. The great country like ours cannot succumb to this kind of terrorist activity as it is nationally as well as internationally obnoxious. Such tolerance would tantamount to acceptance of defeat. The iron hands of law did fall and law brought the perpetrators of the country to justice, restoring the faith of the citizens in the law, yet again.